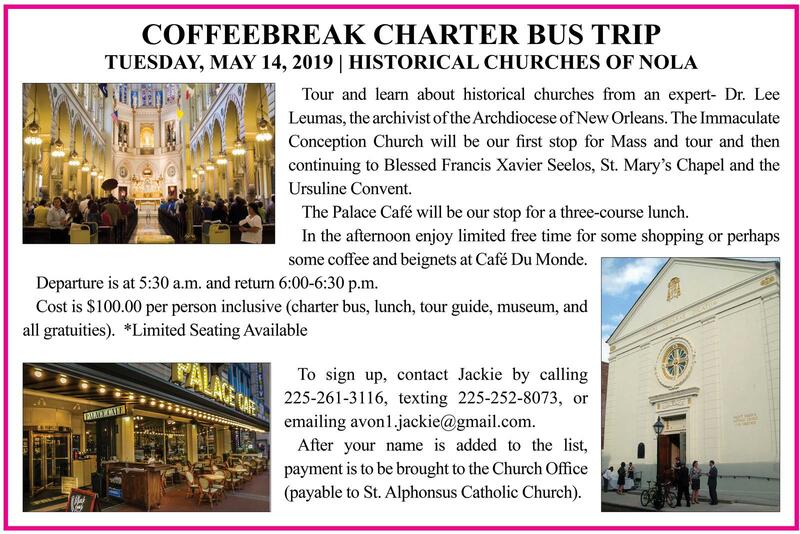 CoffeeBreak is an opportunity to meet women within our parish of different ages and interests and at the same time deepen our faith journey together. We learn so much from each other and have formed some everlasting friendships both young and old. After the coffee and refreshments are served we will start with a meditation either music or pray, rosary or divine mercy chaplet. Paramount to each CoffeeBreak meeting is the bible study and there is no homework to complete. The reflection leaders introduce and guide us through each lesson that is chosen for that year. We proceed to relaxed small groups for reading and sharing. 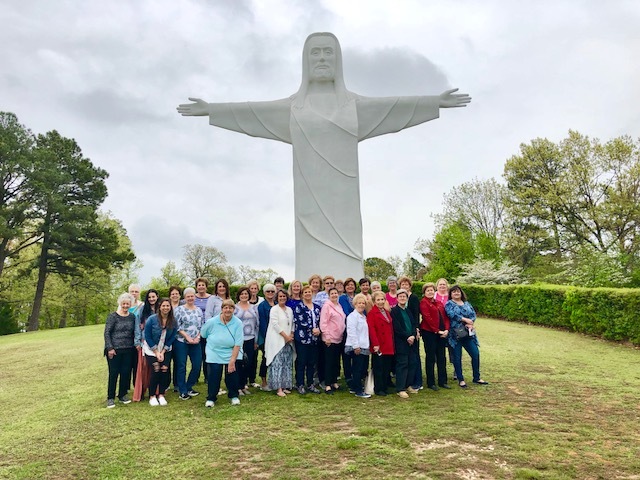 Throughout the year we also enjoy annual Christmas and Spring luncheons, spiritual prayer sisters, Ash Wednesday Retreat, a day or overnight annual trip, in-house service project with a complimentary catered lunch. In the summer months we will gather for an entertaining movie viewing of some spiritual or uplifting content. All are welcome! Feel free to bring your sister, daughter, mother, aunt, cousin or friend with you. We look forward to meeting you. CoffeeBreak meets the second Friday of each month in September-May from 9:30-11:30 a.m. Social and gathering begins at 9:15 a.m.
It’s a wonderful morning allowing us time to visit and enjoy some sisterly fellowship as we are never short on conversation. This meeting is focused on assisting the St. Alphonsus Nursing Home Ministry. JOIN US in assisting this ministry in bringing a little bit of BIRTHDAY joy to the residents of Flannery Oaks Nursing Home. We will together be crafting birthday seasonal gift bags, corsages and poppers. These items are used for the monthly birthday gifts. all craft materials are provided and instructions are simple to follow. Individual labeled scissors and glue guns are welcome. Stay for a CATERED LUNCH to be served around Noon. Questions? Contact Jackie Rembert at avon1.jackie@gmail.com or 225-261-3116.